Over 25 years White’s supermarket business has grown from a small corner store to a group of multi-award winning, market leading stores focusing on supporting their community and local providers through their unique ‘locavore’ program. Roz is a passionate business advocate having held leadership positions including board chair, is a professional member of various industry groups, mentor and regular speaker at trade and industry events. Roz is an active community volunteer having founded and co-ordinated many successful fundraising events. 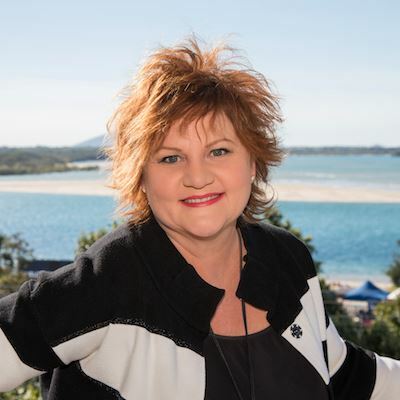 Roz is a current member of the board of directors for Montrose Therapy and Respite Services and has recently joined the University of the Sunshine Coast Foundation Board. 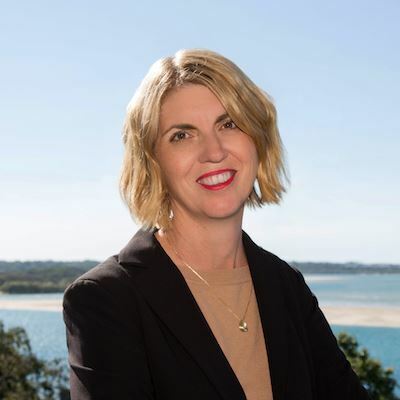 Roz is a current member of the Sunshine Coast Business Council and USC Business School External Academic Advisory Committee and a past advisory member of the Queensland Community Foundation (Sunshine Coast). 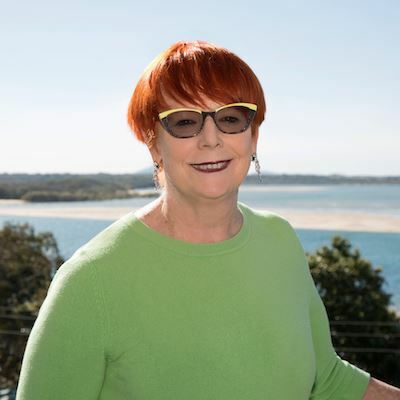 Roz was recognised as the SCBWN Outstanding Business Woman of the Year in 2015 and named Owner/Entrepreneur Leader of the Year in 2016 by the Australian Institute of Management. Roz was inducted in the IGA Hall of Fame in 2017 as the first independent female, a prestigious honour and significant milestone for women in the supermarket industry. Lizzie is a qualified, experienced and awarded marketing and communications professional who has a way with words and a penchant for planning. She works in both traditional and digital media, and is particularly skilled in content writing, public relations, social media and online promotions. 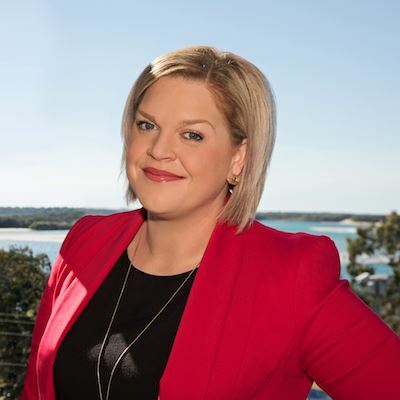 Through living, studying (she's a proud USC undergrad and post-grad Alumna) and working on the Sunshine Coast for most of her life, Lizzie is passionate about supporting this region. She has partnered with business across various industries and has a positive track record of creating strategies that deliver on objectives. 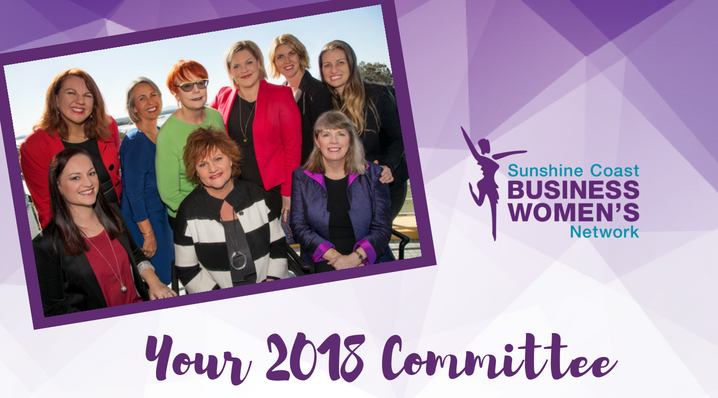 Lizzie also works with a number of charities supporting fundraising events that deliver much needed services back to the Sunshine Coast community. Founder and CEO of Smart Advice is Michelle Hamer. 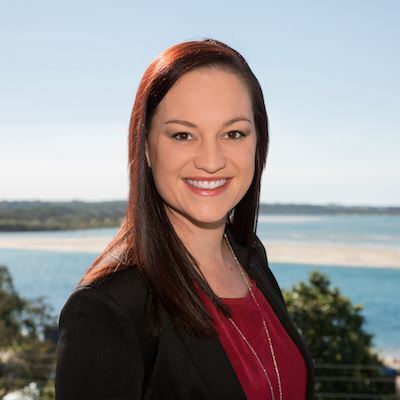 Michelle’s career currently spans 4 businesses –Smart Advice, PC Smart, Smart Learning and University of the Sunshine Coast. 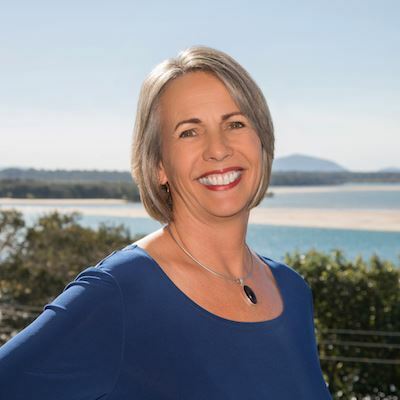 On returning to the Sunshine Coast from Sydney in 1994, Michelle developed PC Smart into a full-time business and has worked with a variety of local, interstate and international clients. Services provided to these clients include training on a variety of PC desktop applications, consultancy services in relation to the set up of their computer environments and PC strategy, and consultation on workflow and document management. In the corporate e-learning arena, Michelle has successfully completed projects for IBM in James Cook University (Medical Faculty) Townsville, Suncorp Metway, and the Australian Bureau of Statistics. Anita is a Chartered Accountant, Fellow of CPA Australia, professional member of the Australian Restructuring and Turnaround Association, member of Family Law Practitioners Association of Australia and Australian Institute of Company Directors and an associate member of Association of Certified Fraud Examiners. She holds a Bachelor of Business from University of Southern Queensland and a Graduate Certificate in Forensic Studies (Accounting) from Monash University. Anita is the forensic partner of Worrells Solvency and Forensic Accountants. 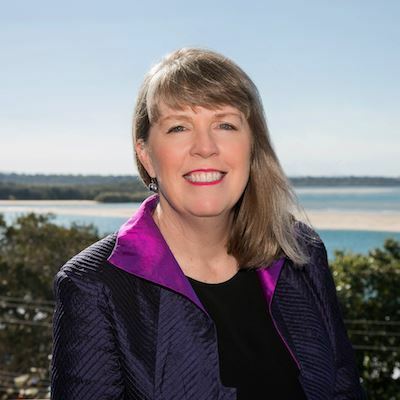 Her accounting career commenced in public practice in Noosa Heads in 1986 and she has extensive experience in taxation, audit and insolvency which provided the skills and experience to encompass the transition to now delivering advanced financial investigation and forensic accounting services. After over 12 years of membership of the Network, Anita was reintroduced to the management committee and accepted the nomination as Treasurer. She also serves as treasurer of Suncoast Community Legal Service and enjoys contributing to the community as a foundation member of the SunnyKids P100 program. When away from numbers, Anita loves a hit of golf and a quiet red wine or two. Together with her partner, John, she fosters working dogs through Herd2Homes Dog Rescue which provides foster care for animals who need somewhere to go between the pound and finding their forever home – however quite often the foster dogs end up finding their permanent home with Anita and John. Starting her own business in the financial services industry at 21 years of age, Min went on to grow that firm into one of the largest in South East Queensland. After merging with three other financial services organisations, Min exited the firm to add the corporate sector to her resume at Challenger. Min implemented the rollout of a joint venture with Bank of Queensland, before being asked to move to Sydney to take on the role of Senior Adviser to the CEO, Financial Planning. In this role she worked on the complete restructure of the division as a part of an executive team of seven and was responsible for the managing, the reporting and strategic plans for the Challenger Board. This role provided Min with the necessary disciplines, structures and actions of big business which she was able to bring back with her to Queensland, where she established prestige event management firm, White House Celebrations. White House Celebrations has been responsible for many of the major fundraising and corporate events on the Sunshine Coast since 2008. In 2018, with the birth of her second child, Min maintains her directorship of White House Celebrations in delivering extraordinary events for luxury brands and world-class businesses, however has returned to her passion of growing and scaling small to medium businesses through her consultancy practice, yourGM. Min is a proud supporter of many not for profit organisations and a proud Sunshine Coast local. Dr Jackie Holt is a professional educator with over 30 years’ experience in the health and education field. Her Ph.D. focused on identifying effective strategies to reduce psychological distress amongst doctors. Jackie’s practical non-tree hugging strategies resulted in her program being the first fully accredited program in Australia for doctors that looked at both doctors’ personal health and the health of their business. Since then, Jackie has developed a range of individual, community focused and organizational health programs. Examples of these include a national multi-strategic program addressing burnout and psychological health within the medical profession and a state-wide program with educational institutions addressing work-life balance, leadership behaviors and opinion leader programs. Other research conducted by Jackie has resulted in multi-cultural and collaborative population health program ranging from women’s health to programs addressing specific health issues. She is currently researching cost effective interventions that can enhance wellbeing amongst female home-based business owners. Jackie is a volunteer with Surfing for the Disabled and despite all she knows about doctors’ health is happily married to an anaesthetist. 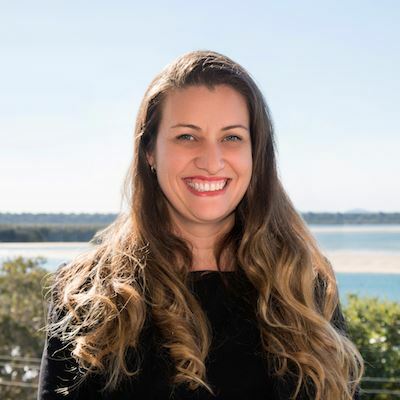 As the Senior Private Banker for ANZ Private Sunshine Coast, Paula looks after an influential group of high net worth clients who rely on her ability to connect them with specialists who can further support and enhance their wealth creation strategy. Her desire to provide an exceptional client experience is evident in her work. Originally from the Sunshine Coast, Paula has returned after spending her career to date in North Qld and Northern Territory. Paula notes that working in regional and remote locations has taught her to be resilient and resourceful. Throughout her banking career Paula has managed large teams with a particular focus on consistent service, sales delivery, compliance and operational efficiency. A change leader at heart, she is always looking for ways to improve day to day business and client experience through new ways of working. When asked about her motto: ‘Move with purpose’. Brenda’s experience encompasses working with leading national and international companies as well as government organisations to identify and achieve their future business needs. She achieves this by facilitating, developing and implementing strategies to build and strengthen their human, systems and relationship capabilities and financial and intellectual capital through cultural and organisational change and relationship development. The diversity of Brenda’s assignments range from providing advice and recommendations on community initiatives as member of advisory councils to the Ministers for Business and Women; assessing the reason for global fragmentation and providing recommendations to the United Nations and being invited to speak nationally and internationally (Asia, Europe, America, South America) on Leadership and Leadership development. Kaitlyn, through PCOC, is delivering a number of small projects with including strategy planning, cultural assessment audits, McQuaig job fit assessments for performance, process development, governance document audit, alongside a medium term project with an Allied Health group, bringing operational alignment to strategy and preparation for future growth & commercialization of innovation program. Kaitlyn is a proud Alumni of USC Executive MBA program, Stanford Graduate Business School and Harvard Business School, Professional Business Woman of the Year 2007, Suncorp Supervisor of the Year and National Deposit and Payment Specialist , to her name. 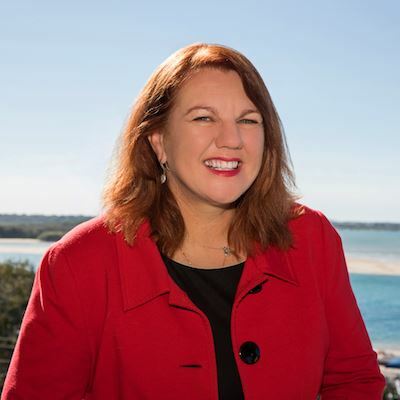 She is active in community leadership as Director of Surf Lifesaving Queensland and Executive to SCBWN and IML business networks, youth economic forums and Industry advisory panels.